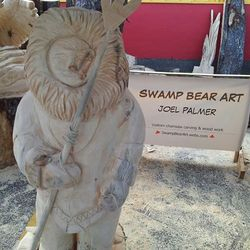 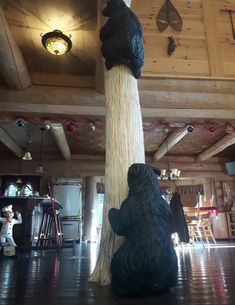 Swamp Bear Art was established by Joel Palmer in the summer of 2012. 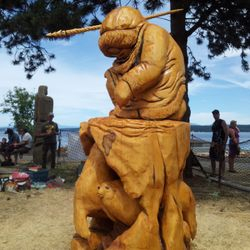 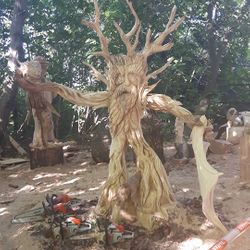 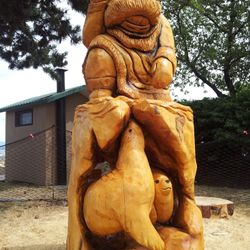 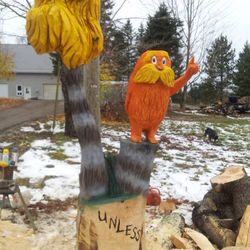 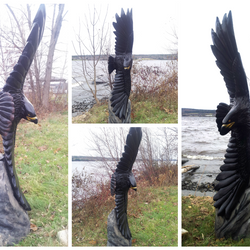 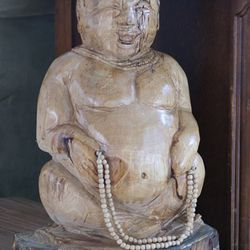 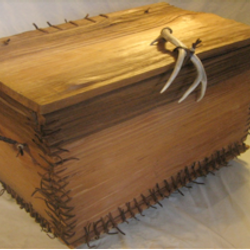 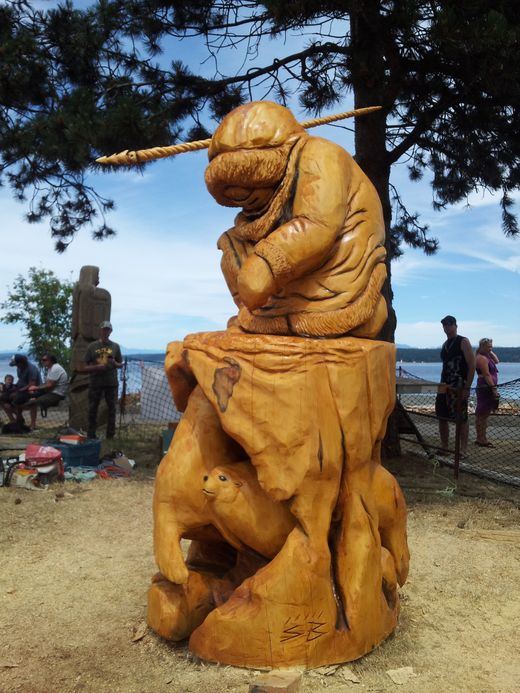 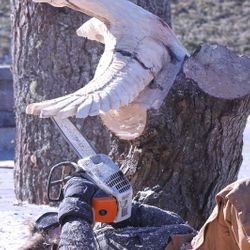 Most of his works are carved entirely with a chainsaw, making his pieces one of a kind in every way. 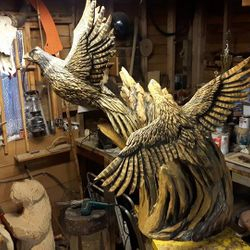 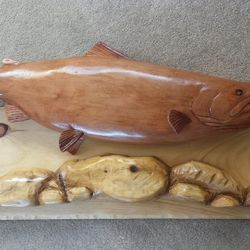 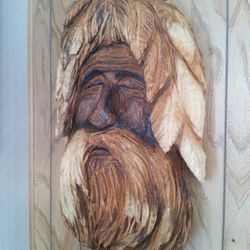 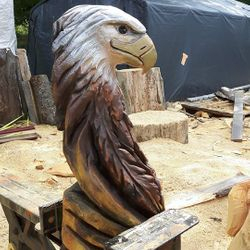 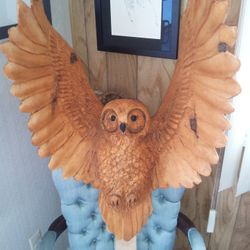 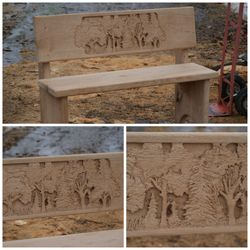 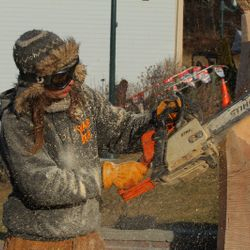 He has an eye and ability to create incredible detail with just his saws. 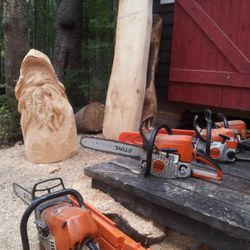 Other carving tools are sometimes used to give greater realism and special textures. 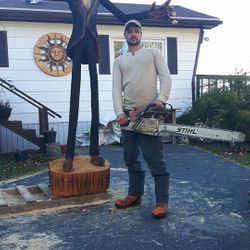 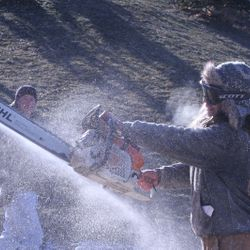 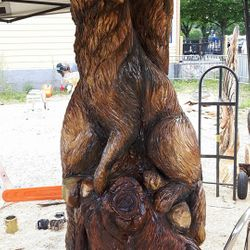 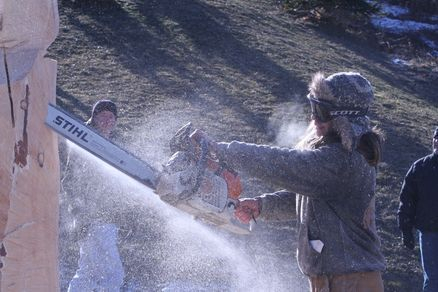 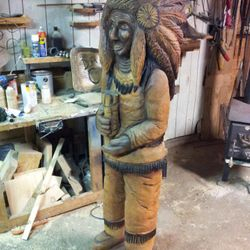 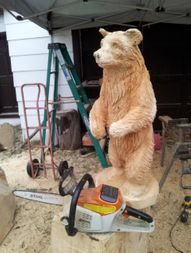 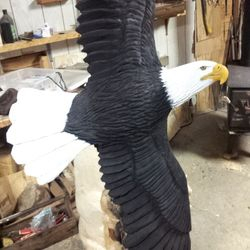 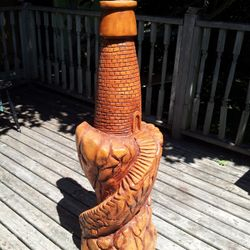 Joel has been artistic his whole life and has experimented with various mediums before discovering chainsaw art. 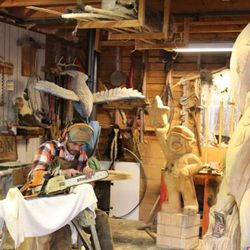 The journey has just begun with this wonderful art form yet it has been something he's been working at his whole life. 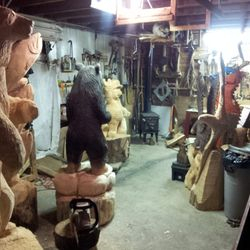 Many of the projects on this site are Joel's first pieces - a far cry from where his work has progressed to today. 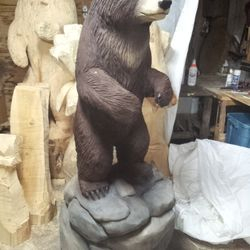 It is his constant dedication and desire to improve as an artist that makes Swamp Bear now one of the top in his profession. 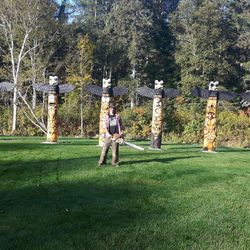 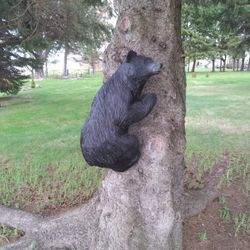 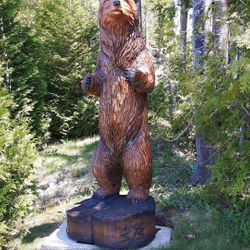 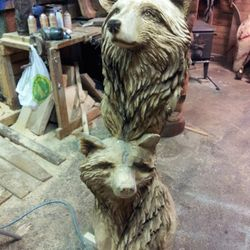 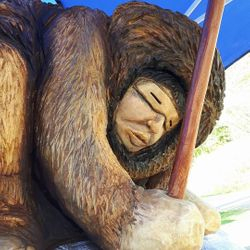 In just 3 years of being in the business, Swamp Bear has won two Atlantic Canada Sculpting Championships and competed with professionals from Atlantic Canada to the Pacific Coast, showcasing his work among the best of the best. 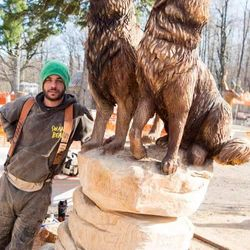 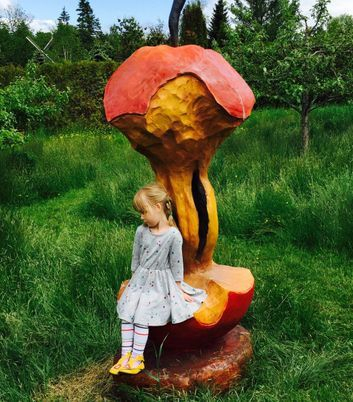 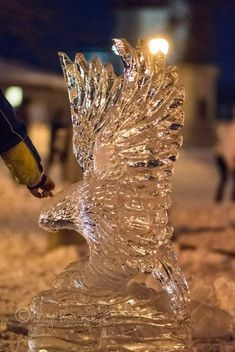 In 2016 Joel won the "Peoples Choice" award at a prestigious national sculpture competition with artists of varying mediums. 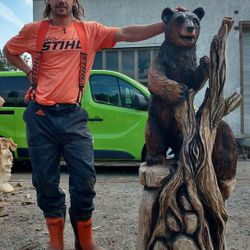 2017 was another great year for Swamp Bear with another Gold place win in Eibau, Germany with team Stihl Canada. 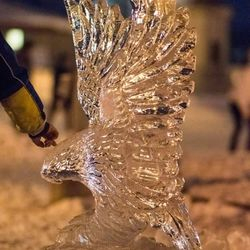 in A true artist that continues to thrive on creativity and challenge. 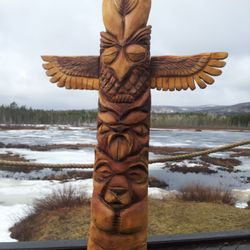 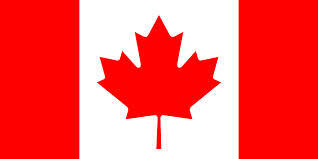 Swamp Bear's studio is now located on Lily Lake in Browns Flat, NB. 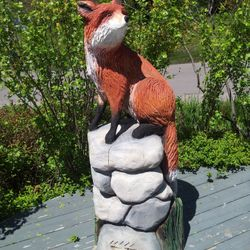 The 4.25 acre property is mostly wetlands (aka swamp), home to painted turtles, beavers, ducks, wild cranberries, fish and so many wonderful and inspiring things. 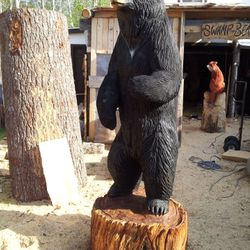 A perfect place for an artist like Swamp Bear call home. 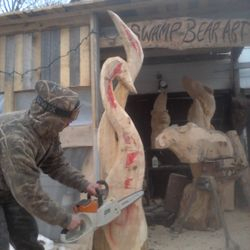 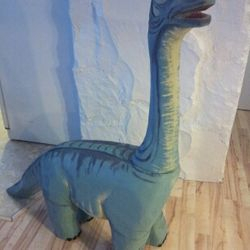 Contact Swamp Bear Art to bring your idea to life. 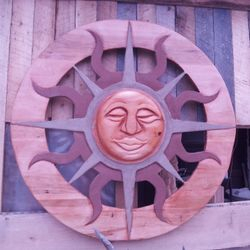 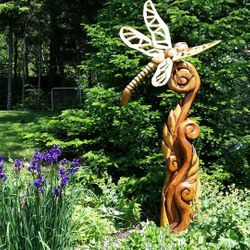 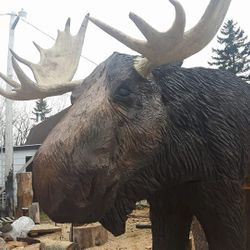 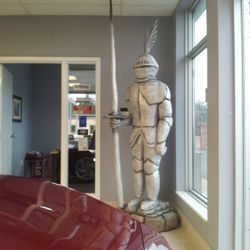 larger-than-life insects, custom beer taps, or a rustic sign for the cabin, whatever you have in mind- this is the place to get it done. Proudly a member of the 2017 Eibau Germany Chainsaw Sculpture Gold medal winners.